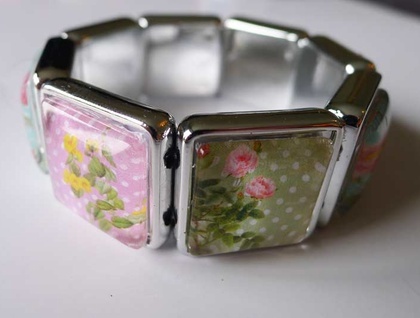 This is a lovely new product! 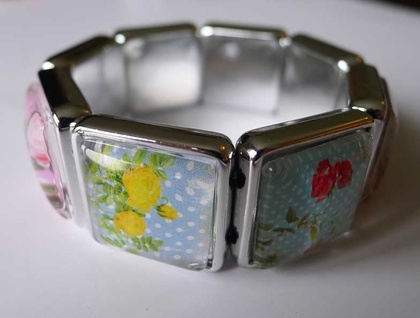 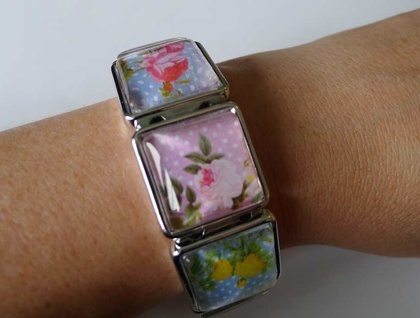 A bracelet featuring lovely vintage floral images set under glass domes. 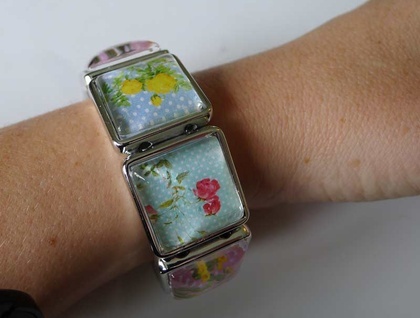 The bracelet is elasticated - two strands of elastic running through the piece. 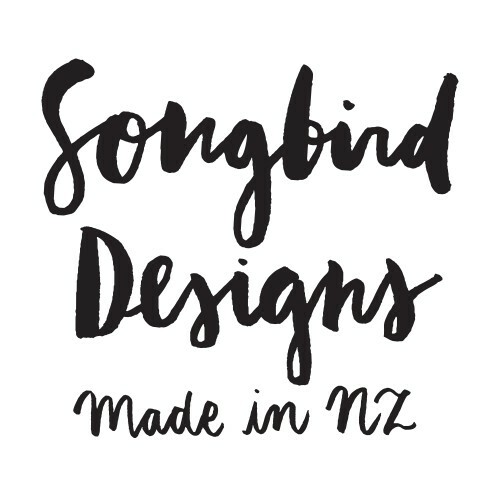 Will come in a Songbird Designs calico gift pouch.